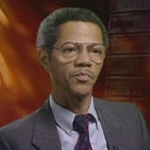 Albert S. Broussard is professor of History at Texas A&M University, where he has taught since 1985. Broussard has published five books, Black San Francisco: The Struggle for Racial Equality in the West, 1900-1954, African American Odyssey: The Stewarts, 1853-1963, em>American History: The Early Years to 1877, and The American Republic Since 1877, and The American Vision (co-authored with James McPherson, Alan Brinkley, Joyce Appleby, and Donald Ritchie). He is past president of the Oral History Association and a former chair of the nominating committee of the Organization of American Historians. Professor Broussard is currently writing a history of African Americans in the Far West from 1945 to the present.